【Master】16mm Single, Becket Block – Superyachts News, Luxury Yachts, Charter & Yachts for Sale. Master’s smallest block, 16mm is designed for small synthetic control lines found on dinghies. •Do not use Master products to human suspension! 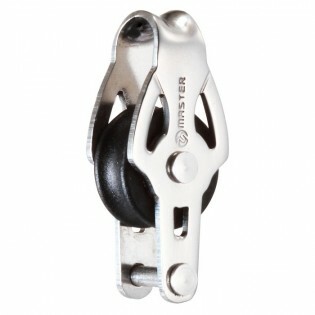 Master’s smallest block, 16mm is designed for small synthetic control lines found on dinghies. •Do not use Master products to human suspension!